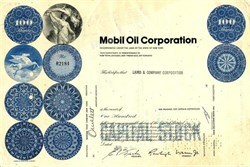 Beautifully engraved certificate from the Mobil Oil Corporation issued no later than 1986. 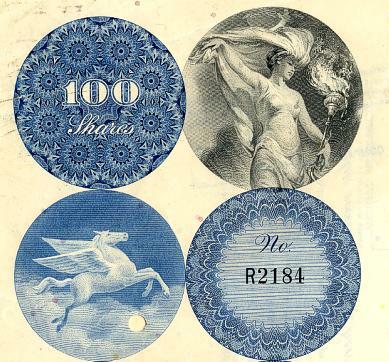 This historic document was printed by the American Banknote Company and has a few images around it with a vignette of an allegorical woman holding a torch and a flying unicorn. This item has the printed signatures of the Company's President and Treasurer.